Civil society activists from Afghanistan and residents of different provinces have reacted after Iranian President Hassan Rouhani said that dam projects in Afghanistan are damaging the environment. "The remarks by the Iranian president show that Iran is not paying respect to the Helmand River agreement signed between Afghanistan and Iran in 1970. Their demands are a lot," said Rahmatullah Zaland, member of Paktia associations. Neighbouring .Iran receive much water from Afghanistan's two water zones - Helmand and Harirrod Zones. 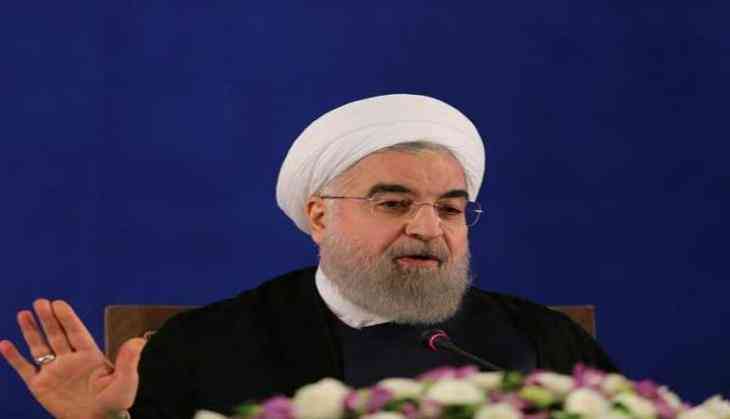 This comes after the Iranian president had criticized Afghanistan's dam project at a conference on sandstorms in Tehran, Rouhani said: "We cannot remain silent about the thing which is apparently damaging our environment. Establishment of several dams in Afghanistan such as Kajaki, Kamal Khan and Salma in the north and south of Afghanistan." Economic affairs analysts said the remarks by Rouhani could be considered as a violation of the Helmand River Treaty.Based on Article 5 of the Helmand River Treaty, Iran cannot claim to the water of the Helmand River in excess of the amounts specified in this Treaty. The activists called on Tehran to respect the rights and freedom of the people of Afghanistan. They asked the Afghan government to seal agreements on all waters which flow to Iran in order to prevent possible tension between the two countries. "National projects have positive impacts on Afghans' lives wherever they are. We support these projects," said Zia-ul-Haq Fazli, a resident of Paktia. "No country has the right to interfere in this respect. It is the right of Afghans and they are free to manage the waters in the way that they want," said Nabi Sadat, an economic affairs analyst. On average basis, the scale of water resources in Afghanistan is estimated up to 70 billion cubic meters annually. But 80 percent of these waters are flowing to Iran, Pakistan and other neighboring nations in the Central Asian countries. Iranian President Rouhani has even criticized Turkey for its major dam projects on the Euphrates and Tigris rivers.Rouhani has demanded that Turkey stop construction of both dams, saying that they were "dangerous" for the entire Middle East.